Research shows that half of all patients in the United States and the European Union do not take their medicines as prescribed. Poor patient compliance, or medication adherence can lead to worsening of disease, serious and avoidable health risks, increased hospitalization, and even death. In fact, patient non-compliance is the fourth leading cause of death in the United States, and the annual cost of non-compliance in the U.S. is estimated to be $317 billion and $125 billion in the EU, according to research group MarketWatch. Ensuring patient compliance is a burden placed on drug manufacturer’s shoulders. First, the pharmaceutical company must ensure that the end-user, the patient, knows exactly how to self-administer the drug product to achieve the most successful treatment outcome. This can be achieved by communicating drug dosage requirements directly to the patient via the medication’s package. This packaging should also promote ease of use to ensure a patient takes the prescribed medication as directed. Second, manufacturers must use packaging that promotes compliance, which can be costly. So finding a way to contain and/or reduce the cost of bringing a drug product to the market in a compliance package can be an added burden. Finally, competition among pharmaceutical companies can be a burden on drug makers, so they are always looking for ways to boost product sales and gain a competitive edge over competitors’ products and packaging. Packaging is growing in importance as patients are increasingly self-administering medications, and thus there is an increased demand for personalized, smaller sized, and simpler packaging. Packaging affects how the customer uses the product at home, and how a hospital, nursing home, or retailer handles a product. The method in which medication is administered has changed to improve dosage control. Patient compliance packaging solutions can contribute significantly to assuring successful treatment. Research has shown that simple, easy-to-use medication packaging helps patients become, and stay, adherent with their prescriptions, especially complex long-term, chronic illnesses requiring multiple medicines over time. When the sequence of medications and the intervals are clearly laid out, and the patient can visibly see the progression of pill administration, patient compliance and overall health are improved. Some contract packagers in the industry will collaborate with drug manufacturers to develop a drug adherence package that communicates dosage information through print and graphics. Consider choosing a contract packager that can design the package and guide how dosage information can be communicated to the patient via design and packaging. For example, extended content labels can be adhered directly to pill bottles, while blister packages provide additional space for printing that information on the inside or back side of the package. Last April, the Food and Drug Administration (FDA) issued a Draft Guidance: Safety Considerations for Container Labels and Carton Labeling Design to Minimize Medication Errors. Specifics about where to place labels on packaging, label color, and print size and font are outlined in the guidance. So, it is important to work with a contract packager that understands any and all requirements regarding adherence packaging. Also, seek out a contract packager that can design the package, test it, and scale it up from clinical trial volumes to commercial blockbuster volumes. Working with a vertically integrated contract packager facilitates a one-stop approach that promotes all of these activities under one roof – package design, carton production, primary and secondary packaging, and one point of shipping and receiving – rather than having a provider to handle each of these tasks. This will reduce overhead costs and save time. Finally, drug makers can get a leg up on their competitors by working with a contract packager that can create customized packaging which captures market attention while maintaining a patient compliance design. One type of adherence packaging that the FDA went on record supporting in 2010 is unit-dose, or blister, packaging.1 Globally, blister packaging, along with plastic bottles, made up 56% of the primary pharmaceutical packaging sector in 2012.2 Blister packs are attracting interest as a patient-compliance tool because the patient can easily view the contents, acting as a visual prompt to take the medicine. Despite the benefits of blister packaging, 90% of U.S. solid-dose drug prescriptions are still filled in bottles, compared to 80% in the U.K. While it may sound trite to state that the U.S. uses bottles because it always has, that is exactly why bottles are more prominent in the U.S. And, the bottles are widely accepted by patients. The pervading mindset has been: where there isn’t a problem, there is no need for a fix. There is also an economic factor. 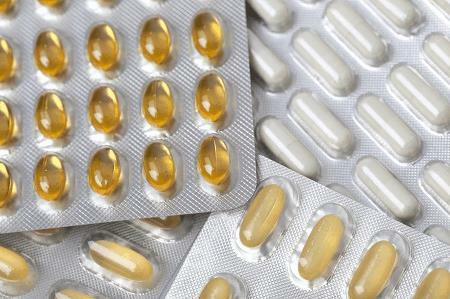 Pharma manufacturers can place more tablets in bottles more efficiently and cost effectively. In contrast, when creating a blister pack, there is a need for complex custom-made tooling, as well as costs associated with film and foil. But there are some contract packagers trying to buck the trend and develop blister packs. In fact, Pharmaceutical Packaging Solutions (PPS) developed and patented the CRx Pack™ wallet card to assist with dosage compliance. For drug manufacturers who have found that a drug historically delivered in a bottle is not fostering patient compliance, a blister pack like the CRx Pack™ wallet card can help ensure confidence that the drug is being consumed in the appropriate quantities. An example can be seen here. PPS created the CRx Pack™ for pharmaceutical customers in need of compliance packaging, up to and including the F=1 designation, the industry’s most protective packaging type. Its format and packaging dimensions are available in flexible configurations to accommodate monthly regimens. Smaller formatting sizes are also available for holding one or several tablets. In fact, the wallet card’s structure can hold just one tablet or monthly quantities, and far fewer tooling costs are associated with filling the card, making it unique in the market as other blister packs require significant upfront tooling. The wallet card can hold multiple dosing regimens within one package. So, for example, dosage A might be in blue tablets, while dosage B would be in yellow tablets. Each would be trapped in the same framework to reduce the cost of needing two different packages. And, from a compliance standpoint, it is much more convenient for the consumer to have just one package instead of two. As part of the package’s customized design, CRx Pack™ offers ample billboarding for marketing messages. The package offers multiple panels, versatile sizes, economical SBS paperboard construction, and extensive space for graphics and product information. All CRx Pack™ primary and secondary packaging is created and completed in one facility to ensure that customers benefit from accelerated speed to market, as well as reduced setup costs. The CRx Pack™ wallet card platform is bridging an important gap in adherence packaging as it can accommodate different drug delivery systems, not just to solid-dose pills, but also prefilled syringes and vials for more personalized drug dosing. According to a report published in November 2013, the global prefilled syringe market was valued at $2.09 billion in 2012 and is expected to more than double to $4.98 billion in 2019. Prefilled syringes are advanced drug delivery devices filled with single-measured dose of injectable drugs.3 These syringes are gradually becoming the preferred delivery devices for various categories of injectable drugs, mainly due to the advantages offered to drug manufacturers, healthcare providers and patients over conventional vial and ampoule packaging systems. To drug manufacturers, they are important because they reduce overfill to 4%-5% from 20% in vials, and thus, are preferred for dispensing therapeutic classes (mainly biologics), which are expensive. With respect to healthcare providers and patients, prefilled syringes help with factors such as ease of operation, low risk of contamination, and more accurate dosing for patient compliance. No matter the delivery system, patient compliance begins with packaging: the patient either succeeds or fails because of packaging. Drug makers can ensure compliance with adherence packages like blister packs such as the CRx Pack™ wallet cards. This packaging eases burdens on some pharmaceutical companies regarding costs to market, patient communication, and the competitive pharmaceutical landscape. Pharmaceutical Packaging Designed to Reduce Medication Error: Calendarized blister packaging can safely improve adherence to once‐daily, long‐term medication for chronic conditions. By: Barbara Zedler, M.D., Venebio, Chief Medical Officer, FDA Public Workshop: Packaging Practices to Minimize Medication Errors, June 24, 2010. http://www.fda.gov/downloads/Drugs/NewsEvents/UCM219171.pdf.